Classic story of a horse. 174 pgs. Ages 12 & up. 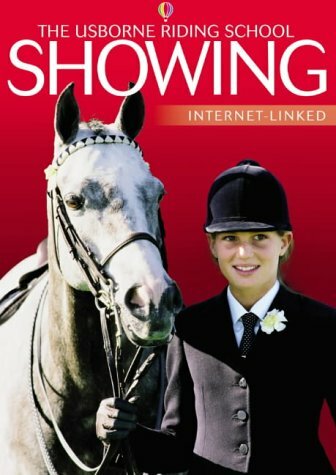 This book introduces you to the world of the show ring. Find out how a pony is judged, which classes you can enter, and how to groom, school and present your pony for a show. Learn about the tack and clothing you need, and the finishing touches that make the most of your pony's appearance. Discover how to cope with the bustle of the showground and ride in the ring so that your pony performs at his best. 32 pgs. Ages 10 & up. 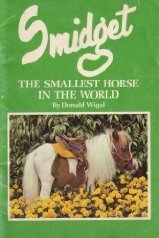 True story of Smidget, the world's smallest horse, only 21 inches tall. B/W photos. Ages 10 & up. 44 pgs. Another story in the continuing saga of the Black Stallion. 330 pgs. In this sequel to Misty of Chincoteague a storm and tidal wave strike the island at the time that Misty is expected to foal. 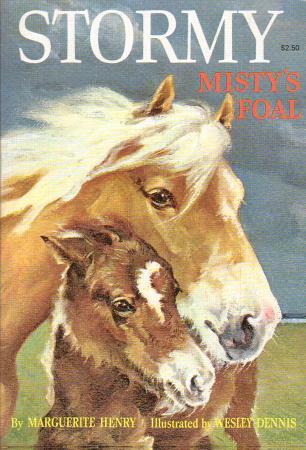 The birth of Misty's colt becomes a symbol of hope, and the story ends with a personal appearance of Misty and Stormy at a theater to raise money to restore the pony herds. The story is based on facts. Illustrated. 224 pgs. Ages 9-12. Ginny dreamed of having a sleek, beautiful pony for the summer - not this half-starved, shabby mare from the ghastly pony farm. But by the end of the summer, Ginny would give her life - and almost does - to save darling Mokey from returning to the farm.Illustrated. 121 pgs. Ages 8-12. Classic story of a horse. Second in the trilogy, the first being My Friend Flicka and the third Green Grass of Wyoming. 353 pgs. Ages 12 & up. Classic story of a horse. Second in the trilogy, the first being My Friend Flicka and the third Green Grass of Wyoming. 312 pgs. Ages 12 & up. 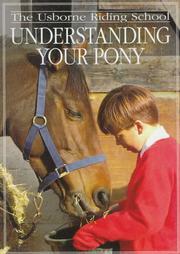 Introduces you to how your pony thinks & why he behaves the way he does. Ages 10 & up. Simple text answers many questions about horses & breeds with horse activities. 32 pgs. Ages 6-10. 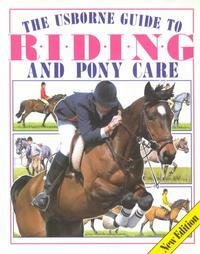 Practical advice on both riding and caring for a pony or horse. It gives information on treating simple illnesses, types of tack, hoof care, ageing, different breeds, grooming & also covers more advanced riding, jumping and showing. 64 pgs. Ages 9-14. Brief text and photographs present the places where both wild and domestic horses live. 32 pgs. Ages 4-8. Set of 3 books. "Fight For Life" - The clinic is swamped with sick & abused puppies. Maggie suspects they've all come from an illeagle puppy mill. She knows that she has to find out whos running it, where it isand save the rest of the dogs. "Homeless" - While looking for a missing cat, Suinta discovers a pack of feral cats and knows she can domesticate themeven though shes been told that these are feral cats, who see humans as their enemies. She convinces Dr. Mac to examine the cats, fix them, and give them shots. then she wants to re-release the cats into the neighborhood. Will her plan backfire? "Trickster" - As soon as David sees Trickster, the new horse at Quinns Stables, he knows hes found the horse he was born to ride. But Davids got a reputation as a troublemaker . . . and Tricksters still recuperating from an accident. Includes a WILD AT HEART Necklace. Over 140 pgs. each book. Ages 10 & up. 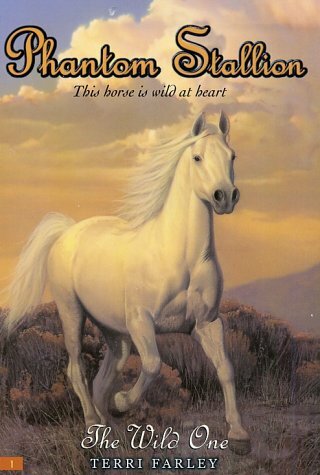 Stories & activities with info on wild horses, includes trading cards. Ages 6-10. Branded with National Wildlife Federation's Ranger Rick "RM", this 13-title series is a favorite with kids 7-10 years old and their parents. Here is a value-priced group of books featuring big, colorful photos and interesting animal information. Through a conversation between two boys we learn about the wild horses. 47 pgs. Ages 7-10. A new series introduces 13-year-old Samantha, who returns home to her family's ranch two years after she left to recover from a fall off her beloved mustang, Blackie, who has been missing since that day. On one moonlit night, a mysterious mustang comes to Sam. Is it Blackie, all grown up and gone wild--or it is the legendary phantom stallion? Ages 9-12. 216 pgs. Fiction: Des Harmon knows if he can capture the wild stallion he could sire enough colts to put the ranch back on its feet. 151 pgs. Ages 12 & up. Information about the wild ponies of Assateague Island. Life in the wild, foaling, behavior, the Pony Round-up. Color photos. 32 pgs. Ages 6-9. For years Ginny has wished for a pony of her own. Now she has Mokey, not exactly the beautiful pony of her dreams, but a real live pony - and full of surprises. Ginny will never forget her first winter with Mokey - a winter of joy & adventure. Illustrated. 106 pgs. Ages 8-12. When one of her favorite horses is injured, Ashleigh becomes depressed. She stays indoors and refuses to ride or spend much time with Stardust, her favorite horse. The Griffens don't know what to do, but their next door neighbors have just the thing--a Thoroughbred racing camp for kids interested in a career in racing. Ashleigh's not interested, but her parents enroll her anyway. Will the camp renew Ashleigh's passion for horses and her dream of becoming a jockey? Ages 9-12. 167 pgs. 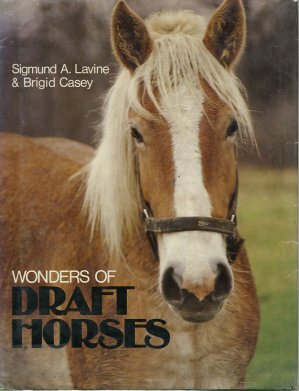 Traces the role of the draft horse throughout history and describes the characteristics of some of the most popular breeds including the Belgian, Clydesdale, Percheron, Shire, and Suffolk. B/W photos & old prints. 79 pgs. Ages 9-12. 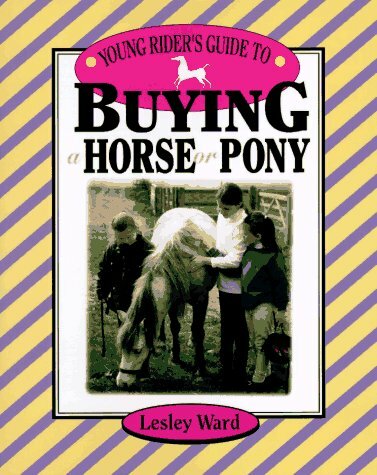 Written & illustrated for youngsters who dream of owning a a horse or pony. 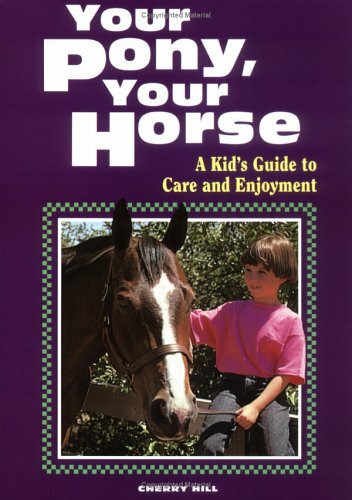 Covers everything a rider and her/his parents need to consider before buying a horse or a pony. Ages 9-12. The scent and creak of the saddle, the feel of the stirrups beneath your feet--those bitten with "pony love" know that these impressions are all part of the wonderful world of horses. 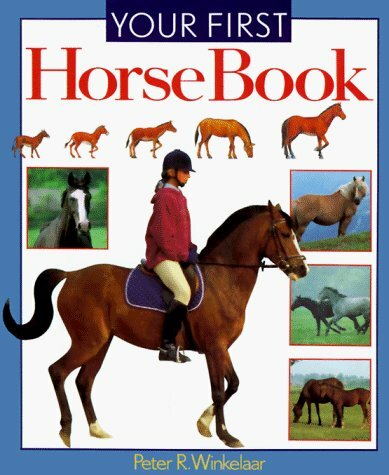 Your First Horse Book will teach you about all of the fundamentals requied for sound horsemanship. You'll be happier, and safer, knowing these essentials of equestrian life. Full color. 45 pgs. Ages 9-12. How to select a pony, feeding, shelter, provide fencing, keeping your horse healthy, how much time & money is needed to care for your horse, and showing. B/W photos & illustrations. 154 pgs. Great for adults or kids age 14 & up. 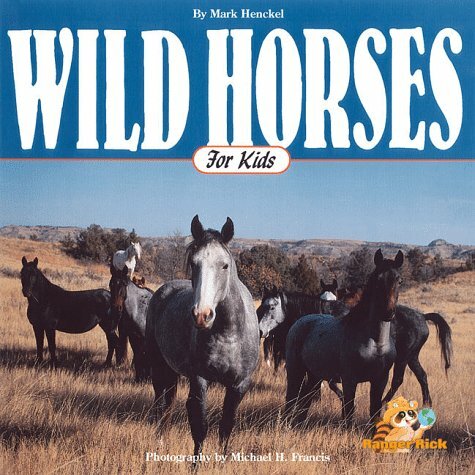 An all-in-one, everything-you-wanted-to-know-but-didn�t-know-who-to-ask guide to the world�s most fascinating wild horses. Features 24 pages of striking wildlife photography, insightful writing, colorful illustrations, and diagrams that explain in simple terms things that make "animal facts" come alive for your child. Ages 5-12.